Paeonia Dr. Alexander Fleming is one of the most popular peony varieties in the world. That’s not so strange considering this peony is similar to the very popular Sarah Bernhardt. Because it is a cross between Sarah Bernhardt and Bunker Hill they share many characteristics. The big difference lies in the colour of Dr. Alexander Fleming, which is two shades darker than Sarah Bernhardt. The two varieties are very complementary because of this colour variation. There is a lot to admire in this variety and it’s characteristics. Firstly it is full-petalled and has medium to large-sized flowers that bloom in the shape of a rose. 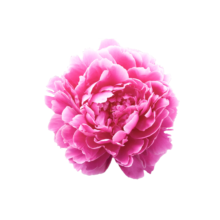 Probably the best about Paeonia Dr. Alexander Fleming is that its known for its wonderful and intense fragrance. That is why he is a favorite for many. Dr. Alexander Fleming was bred in 1950 by Dutch breeder Blonk. This peony variety is named after the Scottish microbiologist who discovered Penicillin and won a Nobel Prize for it. Cut the stems diagonally 2 cm from the bottom. Add some sugar or flower food to the water to give Dr. Alexander Fleming some extra energy during blooming.